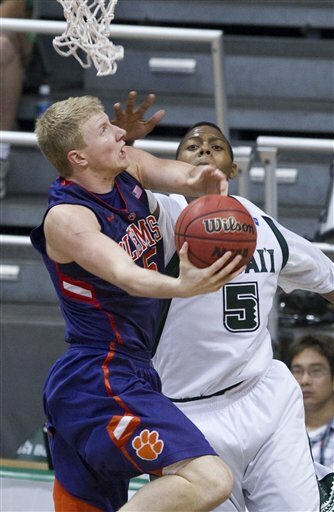 Hawaii (Rainbow Warriors, 13,952 students, Honolulu, HI) 75, CLEMSON 68 – Zane Johnson made six 3-pointers and finished with 27 points as Hawaii beat Clemson on Sunday in the fifth-place game of the Diamond Head Classic. Vander Joaquim added 14 points and 10 rebounds for Hawaii (7-5). Johnson finished 8 of 14 from the field, with four of his 3-pointers coming over the first 13 minutes of the second half. The Rainbow Warriors went on a 9-0 run to start the second half for a 40-34 lead. They also went on a 10-3 spurt for a 59-48 advantage with 5:43 remaining. 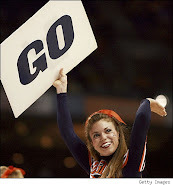 Clemson (7-6) used full-court pressure late to make it interesting. The Tigers scored six in a row to get within 69-64 with 35 seconds left. Hans Brereton added 10 points and Jeremiah Ostrowski had eight assists for Hawaii, which made 15 of 25 shots in the second half.